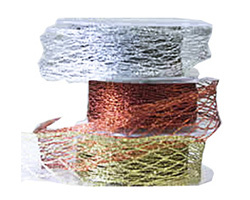 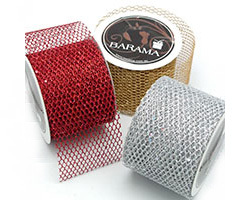 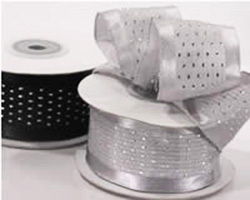 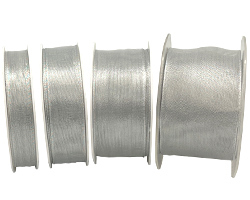 A traditional wire edged metallic mesh style ribbon in silver. 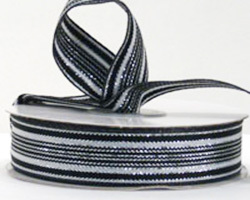 Black and White ribbon with metallic silver stripe. 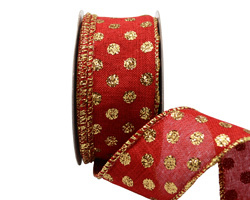 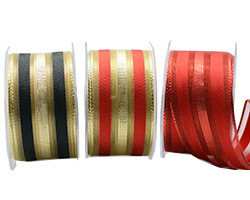 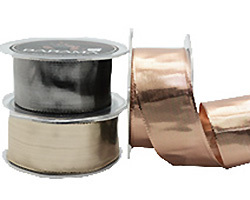 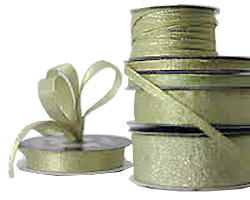 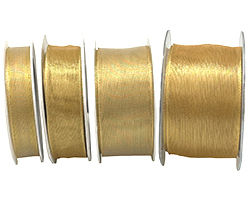 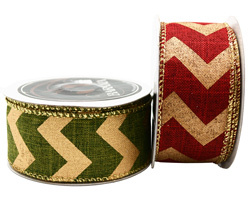 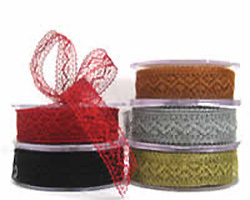 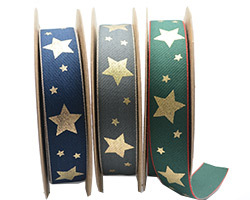 A striking wire edged sheer ribbon with a metallic strip. 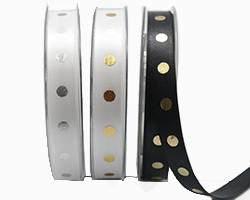 Available in White/Silver or Black/Silver. 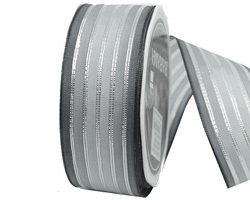 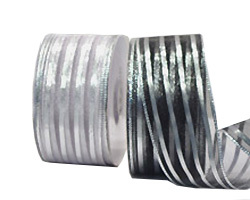 Classic style metallic silver, stripe ribbon.